Wooburn Singers is an auditioned chamber choir of about 50 singers in South Buckinghamshire. 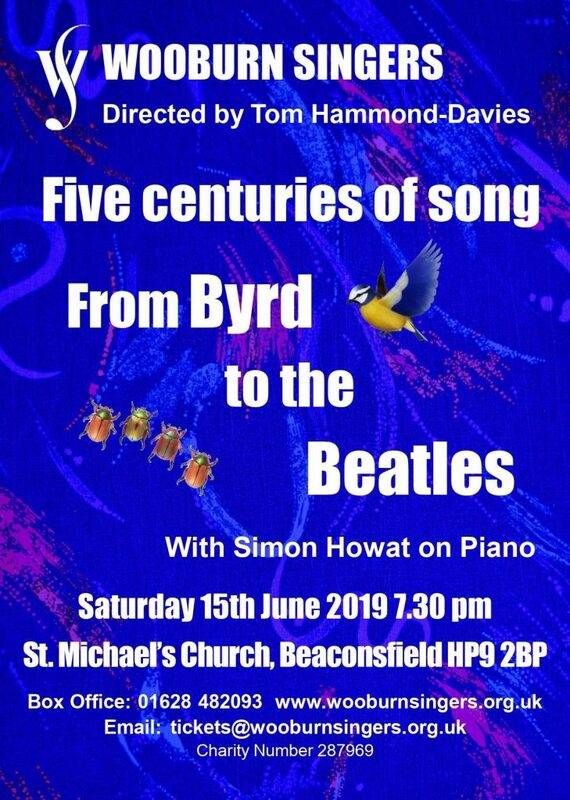 Rehearsing in Beaconsfield, we perform four or five concerts per year in the area, ranging from a cappella works to large choral pieces with orchestra. The choir goes on tour in Europe every other summer. 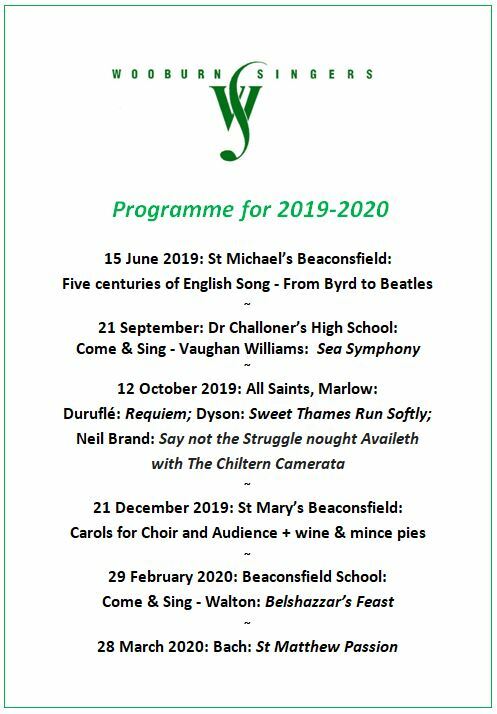 For full details of forthcoming Concerts and Come & Sing events, click here. To find out about joining the choir, click here. Looking for a friendly local choir to join? We have a few vacancies for most voice parts. Help us to raise extra cash for the Wooburn Singers! Easyfundraising is a simple way of raising funds for your favourite charity when you shop online. 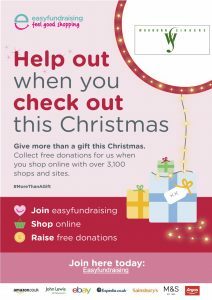 Please follow the instructions below and sign up to easyfundraising – that way when you’re doing your Christmas shopping online you’ll also be supporting us at the same time!